I’d like to go here. This is incredible. These would make amazing urban exploring lights. They’re super bright and last for quite some time. I want these so bad. The MX is $149 and the F7 is $98. 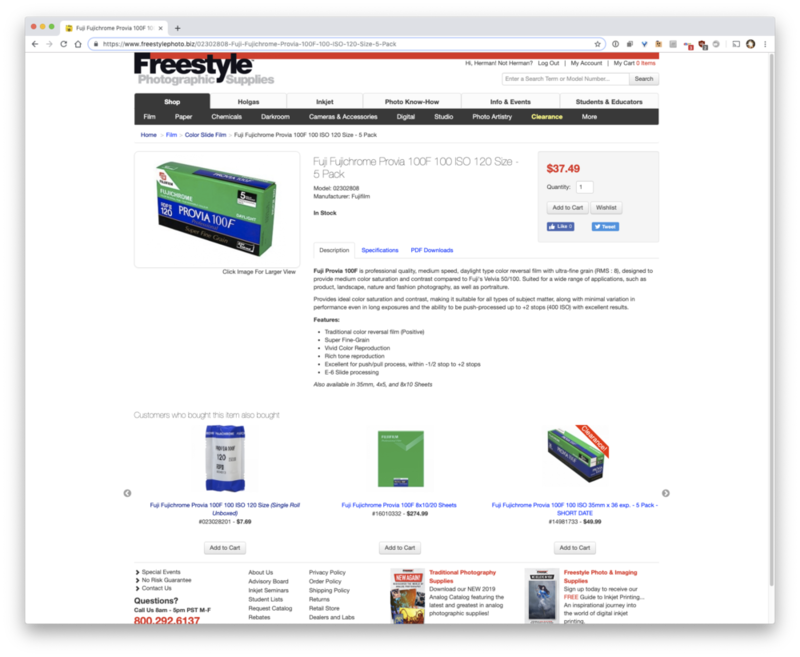 Not sure exactly why but I guess I’m not complaining — here’s a photo store (in LA) that is selling a 5-pack of Fujichrome Provia 100F in 120 size for $37.49. This is cheaper than virtually every NYC store even after shipping is calculated. AND, considering the fact that all Provia 100F in 120 is sold out right now in NYC, you might want to jump on this now. I’ll update this when I receive my order to confirm expiration dates.